Air New Zealand looks set to receive some new competition on regional routes with Jetstar announcing plans to launch turboprop operations from December. The Qantas-owned low-cost carrier said on Thursday it would introduce five 50-seat Bombardier Q300s to connect yet-to-be determined regional NZ centres to its current domestic NZ network of Auckland, Wellington, Christchurch, Queenstown and Dunedin. QantasLink’s Eastern Airlines Australia will operate and manage the Q300 fleet in NZ, Jetstar said. Routes and frequencies are expected to be announced in September after consultations with regional airports, governments and business groups. Hamilton, Rotorua, New Plymouth, Napier, Palmerston North, Nelson and Invercargill are listed as potential new destinations. Qantas chief executive Alan Joyce, who made the announcement in Auckland alongside NZ Prime Minister John Key, said regional communities were “calling out for more choice and lower fares on regional routes in New Zealand because there’s a lack of competition”. “We’re answering that call by launching Jetstar flights to regional New Zealand, making air travel more affordable for people who live outside the main centres and boosting tourism and the economies of these areas,” Joyce said in a statement. Jetstar currently has nine Airbus A320s flying domestically within NZ, across the Tasman and to the Pacific Islands. The first trans-Tasman flights started in 2005, while domestic services began in 2009. Currently, Jetstar has crew bases in at Auckland and Christchurch. Jetstar group chief executive Jayne Hrdlicka promised fares would “drop considerably on the regional routes where we’ll operate”. “We have made travel more affordable for New Zealanders flying between the main centres. Now we’re bringing our passion for affordable travel to thousands of new Jetstar travellers in the regions, whether they are flying for leisure or business,” Hrdlicka said. Prime Minister Key said Jetstar’s announcement was good news. “This will create jobs, mean cheaper fares and more choice for New Zealanders and our international visitors, and will provide a welcome boost to regional economies,” Key said in a statement. Currently, Air NZ dominates NZ regional routes with its fleet of 17 Beechcraft 1900Ds, 11 ATR 72-500s, seven ATR 72-600s and 23 Bombardier Q300s. In November 2014, Air NZ said it would move all regional flying to either 50-seat Dash 8 or 68-seat ATR 72 aircraft and withdraw all its 19-seat Beechcraft aircraft by August 2016 as part of a restructure of its regional operations. The airline also introduced from February 2015 a new Regional Gotta Go domestic fare in response to concerns about the high price of last minute fares on regional services. Available for purchase 90 minutes prior to departure, tickets on a regional route were available for a fixed price of NZ$169 for a single one-way sector and $249 for two or more one-way sectors. Air NZ chief executive Christopher Luxon said in November the airline’s average regional airfare had fallen by two per cent over the past five years and the changes would keep further downward pressure on regional ticket prices. Jetstar will join low-cost carriers such as Malindo in Malaysia, Nok Air in Thailand, Lion Group’s Wings Air in Indonesia and WestJet in Canada with turboprop operations. And Cebu Pacific Air in the Philippines announced an order for 16 ATR 72-600s and options for 10 more at the Paris Airshow to add to the eight of the type already in its fleet. In November 2014, Qantas said it would shed four Q300s from its Australian operations as part of a cost-cutting move. Great news for regional NZ but if they really wanted to shake Air NZ up they should perhaps be taking them on with the QF 717’s instead of the dash-8’s, they are Jetstar after all, not Turbostar! Agree Tyron B717 provide more seats on ROT – CHC, HLZ- CHC HLZ -WEL,HLZ, IVC- WEL , PMR- CHC and even WEL- CHC and would work on NPE- AKL and NPL- AKL as well, although marginal with runway length..
As long as these new services are not just Akl based. some ofnthe services need to originate from CHC as well, as Air NZ has the monopoly on the CHC-DUD, CHC-NSN, CHC-ZQN and CHC-IVC routes, and charge like a wounded bull for a sest ! Perhaps because the routes won’t support a B717. Also it is very difficult to source B717s these days with bidding wars when they come on to the market. For cost reasons the turbo props are perfect. The gate to gate times over short distances doesn’t warrant the cost of big jets. The key is pricing and access. Does Qantas not own its 717 fleet? I agree that the 71’s might be too big for some routes meaning frequency would have to be sacrificed, however they could make previous NZ routes such as ZQN-WLG and ZQN-CHC viable again too. What about the Q400? Ideally however, I reckon a modern 70-100 seat jet could be the silver bullet for this job. 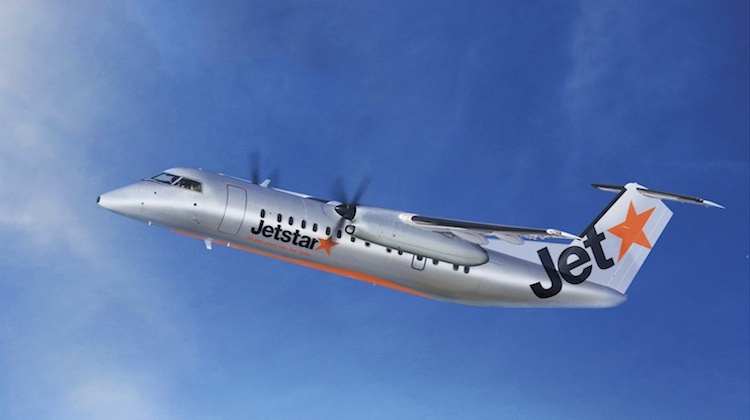 The Q300 might be a safe play from an operational/viability perspective but if Jetstar really wants to throw a punch and revolutionise the market then it needs to up the ante… Lower prices won’t be enough to steal significant market share. Why are Jetstar not doing this in Australia? FLyBe in the UK do a really god job for low cost regional flights using Q400s. Subsidising Jetstar Regional Dash 8s out of Moorabbin and Latrobe Regional Airport to Mildura, Sale and Warrnambool much more useful for regional development than Avalon interstate. Its not a questionof whether QF own the 71s, but spare availability. I don’t think they have any spare to put in the New Zealand market. As for the jets, from what others have said about runway lengths, you end up forgoing payload as obviously aircraft weight and runway length are connected to aircraft performance. Jetstar doesn’t operate regionally in AUS cause that flying is completed by QantasLink and Virgin operate regionally also. I don’t think Qantas would be letting any other players, especially one it owns anytime soon. 717 are extremely hard to source and extremely unlikely Qantas would pull those aircraft for NZ operations. They are currently operating to major AUS cities. It wouldn’t make sense to operate them in NZ when considering there current performance. The only airports incapable of handling viable jet services are Nelson and New Plymouth, all other runways are at least 1750m-2210m long. 5 Q300’s will only stimulate these markets, getting people on the planes wont be the problem, it’ll be finding space for carryon luggage when the flights are full. The turbo props are good for the short sectors under 1 hour but a lot of the proposed/possible routes will be closer to 2 hours. Good point Tyron and even New Plymouth is in the process of extending its runway which will leave only Nelson with a short runway.. Nelson is also the busiest regional airport in the country but a runway extension has never on the agenda….Jetstar will easily fill 5 Q300s in the short-term but I think they will move to something bigger in the not too distant future…. The name is irrelevant. Doesn’t matter if Jetstar has turboprops. CityJet has ATR 72s and Fokker 50s. WestJet has Q400s. Never understood why Air NZ did not acquire Q400s; so much more viable on regional services especially to/from Rotorua where seats are always in short supply and prices exorbitant. Air NZ has never looked towards regional loyalty and regional passengers know it.